The US government has stayed implementation of a recent policy which would have otherwise mandated court hearing (Notice to Appear) and initiated the deportation proceeding for unlawful presence of ‘out of status’ foreign nationals including H1B visa holders. The USCIS has postponed issuance of ‘Notices to Appear’ until the operational guidelines are framed and issued officially. However, the clouds of fears are still hovering over legal immigrants in the United States. Reportedly, the Trump Administration has drafted a policy to deny US citizenship or legal residency to immigrants who have used a number of federal benefits, including Obamacare or the Affordable Care Act, childcare, food stamps, and public housing. Considered a deliberate act to axe the number of legal immigrants in America, the proposal is likely to go on floors in coming weeks and affect over 20 million immigrants, according to NBC News. The proposal does not need congressional approval, according to Stephen Miller, a White House senior adviser. Rather, it is part of his plan to curtail the number of legal immigrants seeking green cards or US citizenship every year. To say in precise terms, Stephen Miller’s draft policy would make it more difficult for immigrants to become legal residents or citizens if they or their dependents have ever used the US public welfare programs like Obamacare, Children’s Health Insurance Program and Supplemental Nutrition Assistance Program. Immigrants in the United States, who used Social Security programs or received cash welfare payments from the government in the past, have already been denied legal status. The new version of White House adviser Stephen Miller’s plan which the Washington Post made public in February 2018 broadens the ambit of federal aid to extend denial of legal status to a maximum number of immigrants in America. Foreign nationals claiming income tax credit or receiving health insurance subsidies would be brought into the ambit of the White House proposal. If an immigrant’s household income is as much as 250% of the poverty level in the US, he or she would be penalized with denial of legal status given the exclusion of federal benefits in the new draft policy. Considered the “biggest change to the US legal immigration system in decades,” the proposal for denial of legal status would make it harder for those making an insufficient living, to support their families if they choose legal status over the federal benefits. Immigrants like Louis Charles, a Haitian green card holder who depends on the federal aid to provide for his disabled adult daughter in spite of working 80 hours a week as a nursing assistant, would suffer, according to NBC News reports. However, Cato Institute, a libertarian think-tank contradicts the above statement on the basis of its recent studies that immigrants use the federal aid lesser than US natives by 39%. Immigrants paid more medical expenses than what they withdrew from the government, according to a report that the international journal of health services published on August 8, 2018. Four immigrant attorneys in California, Virginia, Tennessee and Massachusetts said on a condition of anonymity that there is an increase in the number of their clients whose petitions for naturalized citizenship and legal permanent residency have been rejected. 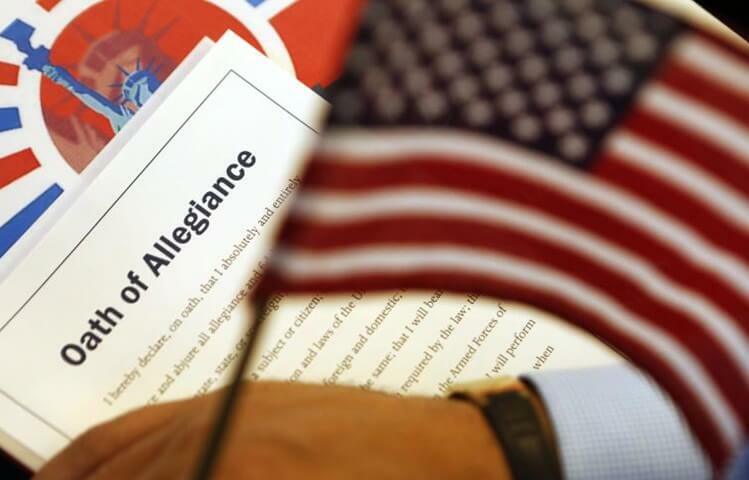 The process to get green cards or gain citizenship has been made a lot more difficult through a series of immigration reforms even before the latest proposal is drafted. The proposal has been sent to the White House Office of Management and Budget for a review before it is written as a rule in the federal registry. Travel Beats is an Indian Community Portal by Indian Eagle, a leading travel booking partner of Indians in USA. Subscribe to Travel Beats’ free newsletter for the latest US immigration and visa news, desi community news, inspiring stories of Indian Americans, and international travel updates.